There’s a long way to go in improving the accountability of professional sport in England, but the success of the Green Bay Packers shows there is a better way. • Clubs happy to change their names and relocate, leaving behind generations of loyal fans to increase television audiences and merchandise sales. Nice post. But the comparison between the Packers and Barcelona/Real Madrid is a false one and the issue is deeper than simple ownership. Ironically, given the US’s normal enthusiasm for free markets, American and Canadian sports have a model that is very good at redistributing the wealth and sharing the success of a particular club. Proceeds from TV rights are spread amongst the “franchises”. Another example is the Ice Hockey Draft, which generally allows the weaker teams in the league first pick of new talent, preventing a successful club dominating the transfer market the way the Barces, the Reals and the Man Utds do. If Wolves stay in their current position, the only thing they’ll get at the end of the season is the parachute payments. Salary caps and players unions are also structural differences to most European sports. Instinctively, I have a fondness for the idea of fan-owned clubs. If I had the opportunity to invest in or buy a share of my premier league club in a one off payment of say, a months wages, I probably would. But even if 160,000 Man Utd fans felt like this and each donated say £1000, only £160m would be raised, well short of the approximately ~£1bn valuation of the club. The Barcelona, Real Madrid model is even further removed from the North American model than the premier league. The Spanish league allows clubs to sell TV rights individually. Many would say this has led to Barcelona and Real Madrid generating huge amounts of cash and running away with it; just look at the stats on how many times those clubs have lost in the domestic league. The premier league is also dominated by an elite, but few would argue it is as one (or two) sided as La Liga, and the premier league’s collective selling of TV rights does give the smaller club a larger share of the spoils from the league’s success. The imposition of the North American model, where the spoils are more equally shared on the premier league may lead to a more community orientated, organic “fans experience” but would it be really allow the Chelsea, Man United and Arsenals to compete with the Barce’s? Proponents of this have to acknowledge that the change required must cover the whole of international football or be prepared to see British clubs be outplayed. But I agree, we need to see change. 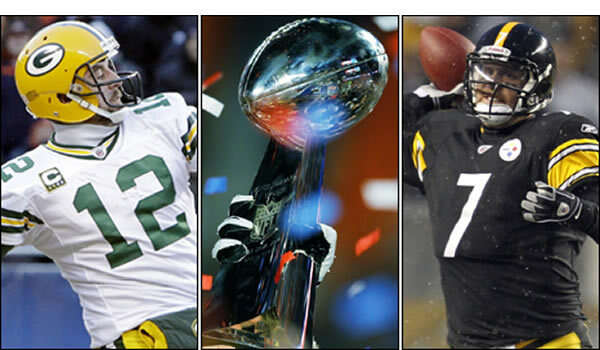 None of what I have said should detract from the Packer’s amazing achievements though. I cannot say I am a watcher of NFL, but I certainly think we need change within the premier league. I personally advicate something close to the German model.